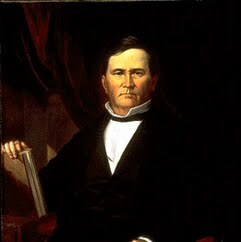 David Wallace was the sixth Governor of the US state of Indiana. The Panic of 1837 occurred just before his election and the previous administration, which he had been part of, had taken on a large public debt. During his term the state entered a severe financial crisis that crippled the state's internal improvement projects. He advocated several measures to delay the inevitable insolvency of the state. Because of his connection to the internal improvement platform, his party refused to nominate him to run for a second term. The situation continued to detriorate rapidly and led to state bankruptcy in his successor's term. After his term as governor, he became a congressman, then chairman of the Indiana Whig party before becoming a state judge, a position he held until his death.